Is Trump’s F-35 a Mistake or Deal Maker? Is the F-35 a trillion dollar mistake? 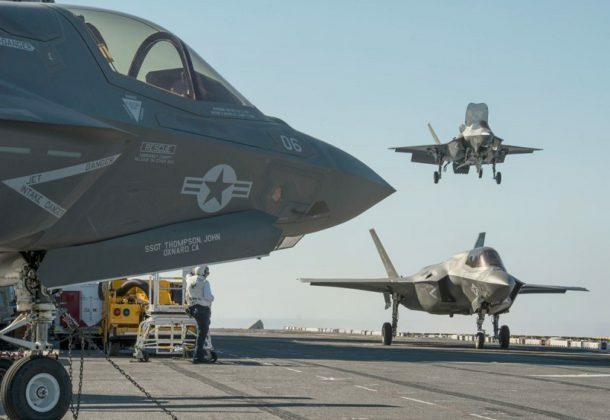 A Bloomberg reports on a test flight of the F-35B from Pax River and how the company is approaching President Donald Trump’s tweet about the jet figher’s “out-of-control” costs. The Project on Government Oversight, a defense industry watchdog group, reports on negotiations out of the Trump administration for Lockheed to get a multiyear block buy for its F-35 in exchange for not objecting to Boeing getting new orders for its F/A-18 fighter. For going on a week, more than 100 Navy flight instructors have refused to fly, in protest of what they say is a failure of the Navy top brass to adequately address training jets’ oxygen system, reports Fox News. Mental and environmental preparedness rather than technical know-how and expertise are the biggest challenge in preparing pilots to fly remote-piloted aircraft, says Army Times about pilots going from a training environment to flying combat missions solo, often with limited live flying with manned aircraft. The Washington Post has video of North Korea firing another ballistic missile Wednesday morning as the US prepares to host Chinese President Xi Jinping. One of the worst chemical bombings in Syria turned a northern rebel-held area into a toxic kill zone inciting international outrage over the ever-increasing government impunity shown in the country’s six-year war, reports The New York Times. Dozens of people, including children, died — some writhing, choking, gasping, or foaming at the mouth — after breathing in poison that possibly contained a nerve agent or other banned chemicals. British Prime Minster Theresa May breaks with the Trump administration and says President Bashar Assad has “no future” as ruler of Syria, reports the Washington Examiner. The North Atlantic Treaty Organization, NATO, was formed 68 years ago when the North Atlantic Treaty — also known as the Washington Treaty — was signed in Washington by 12 founding members, reports Military Times. The US Army wants to put drill sergeants back in Advanced Infantry Training in 2019, reports Army Times. It’s a busy year ahead for the “crazy hard” plans of SpaceX to hasten refurbishment between flights of the Falcon 9 rocket and refine debut the long-delayed Falcon Heavy launch vehicle, Spaceflight Now reports out of an interview with SpaceX founder Elon Musk. The Enterprise reports on a block of trees next to Lexington Park library cut down to disperse vultures. They’re gone from there, Grant Harter, wildlife biologist with the USDA, told Navy officials and the St. Mary’s County commissioners Tuesday. “Where they’ve gone, I’m not quite sure yet,” he said. Rockwell Collins Inc., Cedar Rapids, Iowa, has been awarded a $21,264,701 modification (P00076) to exercise the option on previously awarded contract FA8678-10-C-0058 to support the Common Range Integrated Instrumentation System (CRIIS). Contractor will provide the second production lot of the CRIIS for upgrading the test and evaluation instrumentation at Air Force, Navy, and Army test ranges. This second production lot will help complete range installations and activations at Eglin Air Force Base, Edwards Air Force Base, Naval Air Station Patuxent River, White Sands Missile Range, Nellis Air Force Base, Naval Air Weapons Station China Lake, and Naval Air Station Point Mugu. Work will be performed at Cedar Rapids, Iowa, and Richardson, Texas, and is expected to be complete by April 5, 2019. Fiscal 2016 and 2017 research, development, test, and evaluation (Navy, Air Force, and Army); and procurement funds (Air Force) in the total amount of $21,264,701 are being obligated at the time of award. Air Force Life Cycle Management Center, Eglin Air Force Base, Florida, is the contracting activity. Agile Defense Inc., Reston, Virginia, is being awarded a $23,445,267 indefinite-delivery/indefinite-quantity, cost-plus-fixed-fee contract to provide software and system engineering, design, development, integration, testing and life-cycle support services to support the BMC Remedy Enterprise System, infrastructure, enabling technologies, and related training to the Department of Defense. This is a five-year contract with no options. Work will be performed in San Diego, California (95 percent); and Reston, Virginia (5 percent). The work is expected to be completed April 4, 2022. No funds will be obligated at the time of award. Funding will be obligated via task orders beginning on award of the contract using operations and maintenance (Navy); other procurement (Navy); research, development, test and evaluation (Navy); and other procurement (Marine Corps) funds. Contract funds will not expire at the end of the current fiscal year. This contract was competitively procured via a 100 percent small business set-aside solicitation through publication on the Federal Business Opportunities website and the Space and Naval Warfare Systems Command e-Commerce Central website. Four proposals were received and one was selected for award. 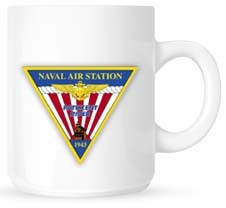 The Space and Naval Warfare Systems Center Pacific, San Diego, California, is the contracting activity (N66001-17-D-0125). Northrop Grumman Systems Corp. – Northrop Grumman Information Systems, Chantilly, Virginia, has been awarded a $7,203,059 cost-plus-fixed-fee contract for widely applicable streaming and static parallel-graph processing software. Contractor will identify and develop static and streaming graph analytics to solve five types of problem areas, anomaly detection, domain specific search, dependency mapping, N-x contingency analysis, and causal modeling of events. This effort will focus on identifying new uses for graph analytics that have been abandoned in previous research due to processing, power, or size constraints. Work will be performed at Linthicum Heights, Maryland, and is expected to be complete by Oct. 5, 2021. This award is the result of a competitive acquisition with 32 offers received. Fiscal 2017 research, development, test, and evaluation funds in the amount of $631,043 are being obligated at the time of award. Air Force Research Laboratory, Rome, New York, is the contracting activity (FA8750-17-C-0041).